Idaho ranks 50th in number of physicians per capita. The need in rural areas is very great. The Family Medicine Residency of Idaho has trained 329 physicians since 1975, and 50% of those have stayed to practice here in Idaho. Our motto is “Train to Remain”. We are committed to helping Idaho increase its number of primary care physicians and to improving access throughout the state. 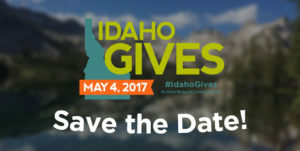 If you would like to help us grow the physician workforce in Idaho, please consider donating to FMRI on Idaho Gives Day, Thursday, May 4. Thank you!